In recent decades, we’ve witnessed a revolution in nutritional thinking, with countless studies now proving that what we eat is fundamental to our health and wellbeing. Antioxidant nutrients are one of the most powerful weapons we have in combatting disease, helping our bodies fight a range of illnesses, from heart disease to cancer. This guide provides a scientific overview of antioxidant-rich nutrients, detailing how the right levels of antioxidants can not only improve our wellbeing, but also protect the cells in our bodies. Liz’s revised ebook highlights the causes and dangers of free radicals, which minerals and vitamins we can consume to fight them, and provides up-to-date research on the ‘new antioxidants’ (known as flavonoids). You’ll also learn how antioxidants can help slow the ageing process, and actively combat diseases associated with ageing, from cataracts to arthritis. Discover a plethora of scientific knowledge on the importance of antioxidants in our diets, and simple ways in which we can put this knowledge into practice for our own wellbeing. 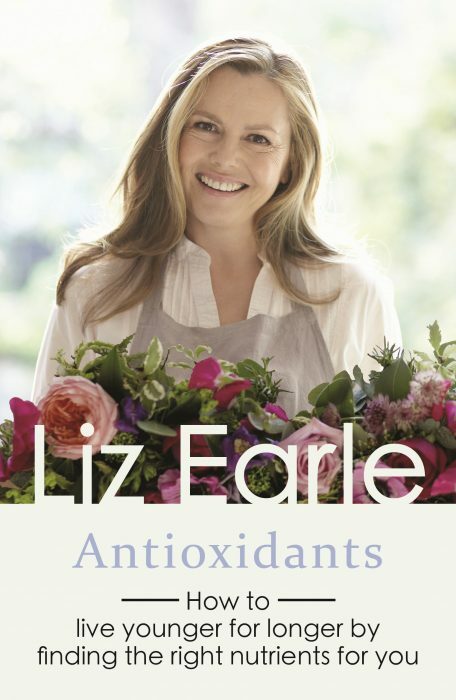 You may also be interested in Liz Earle’s guide to Vitamins and Minerals.